This shouldn't be going on in 2017. 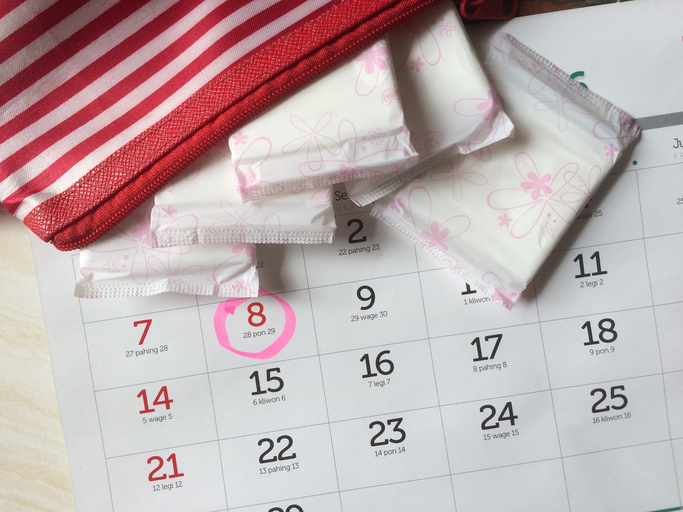 If you count yourself among the population of people able to afford sanitary products and other necessities during your time of the month, consider yourself lucky. Britain's Labour party has just announced a plan to put an end to "period poverty", but what does the term mean and why is it such an important issue? The reality of period poverty hits lower-income girls the hardest. Though rarely discussed in mainstream culture, the inability to afford basic sanitary products while menstruating can have a serious impact on some young girls' education and work life. While the cost of pads and tampons might seem like a relatively small expense, some girls across Britain and the rest of the world find it difficult to afford these basic sanitary products. Earlier this year, the BBC published a report which revealed that young girls from impoverished families are regularly skipping school during the week of their period. Some of these girls told the BBC that they use an entire roll of tissue paper to keep themselves dry during the school day. The issue became such a concern that instructors began buying sanitary products for some of their students at one Leeds, UK school. The topic was first discussed in Scottish Parliament last year and now the British Labour Party has announced plans to fund sanitary products in homeless shelters, food banks, and secondary schools. But, aren't sanitary products cheap? Why can't people afford them? What is considered "cheap" for some people isn't necessarily cheap for others. A study in 2015 found that women spent £13 a month buying sanitary products for their period and another £4.50 on pain relief. Over their lifetime, it is estimated that women will spend £18,000 on their periods. For some living below the poverty line, this £13 a month can mean the difference between food and basic hygiene. In 2014, 3.9 million people in the UK were considered to be living in "persistent income poverty". Many people living in persistent income poverty rely on food banks and homeless shelters for basic items like deodorant and sanitary towels. Bustle shot a video last year detailing the realities of being a homeless person on their period. This sounds terrible, how can I help? You can get creative in the ways you help. When you get your next period, remember to pick up an extra box of sanitary items and drop one off at your local food bank, homeless shelter, or women's centre. You can also follow and support companies like Bodyform who have pledged to donate large amounts of sanitary items to those in need.